There is nothing more motivating than working out with a small group of close friends or family members. 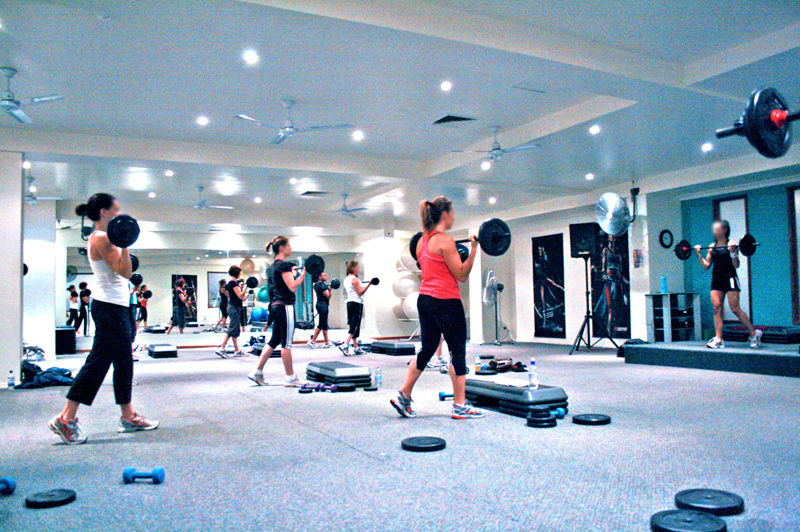 With group exercise classes you can challenege yourself by competing with your peers. When you train with your friends you are also held accountable. You can’t bail on them because you are tired or don’t want to work out that day. Your friends are counting on you to show up to class and help push them, just as you are counting on them to help push you through the workout. When you go to a group exercise class there is no pre-planning required. You show up, and go through the program that is created for you by the class instructor or personal trainer. This takes away the extra time and mental drain of trying to plan out your own exercise program for the week. Most group exercise classes are priced very fairly, especially when compared to the cost of a full time gym membership or personal trainer. While those are also great options for getting regular exercise; group exercise classes give you a community type atmosphere and a professionally designed exercise program all at a price that wont break the bank. There are all kinds of different group exercise classes offered. Common classes range from circuit training style classes with weights to yoga and Pilates classes. One day you can work on building strength and lean muscle, while the next you work on flexibility and core strength. This regular variety helps keep even the most reluctant exercisers excited to get their daily workout in. The goal of any exercise program is to improve your overall health and well-being. Group exercise classes give you all the health benefits of working out on your own, but provide you with a community, professional coaching and excitement that may be lacking from going to the gym all by yourself. Interested in learning more about group exercise classes. Check out our growing list of exciting and challenging classes or call our office (919-678-8828) to learn more.